Custom Lip Balm - Gloss Tins Personalized in Bulk in Full Color. Promotional, Cheap. Budget Prices in USA and Canada. Natural or with SPF15. Unflavored, Orange, Vanilla Mint, Green Tea. FDA Approved. 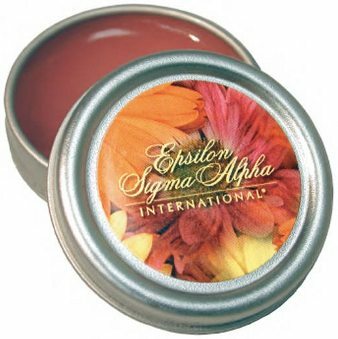 We supply inexpensive bulk lip balm tin boxes with full color custom imprint. You have a choice of either lip balm tin boxes with SPF 15 protection and many flavors (see below) or all-natural (beeswax based) lip balm tin boxes: same price. Free artwork design. Lowest prices in the USA and Canada for wholesale personalized lip balm tin boxes. FDA Approved, Made in USA. American clients pay no taxes. SETUP CHARGE: $45.00 per order for up to full color imprint. Production Time: 5-7 days after art approval; contact us for faster delivery. Please order our Personalized All-Natural Chapsticks (No SPF). Net Weight: 0.3 oz / 8g (almost double the typical 4.25g of the chapsticks). Item # LBG-ZLBPTC, SPF15 Lip Balm Flavors: Berry, Bubble Gum, Cherry, Chocolate, Cinnamon, Cool Ice (with Menthol), Granny Smith Apple, Grape, Island Paradise, Kiwi, Medicated (with Eucalyptus), Meyer Lemon, Mint, Mocha, Orange, Peach, Peppermint, Pomegranate, Romantic Wish (Watermelon Vanilla), Root Beer, Strawberry, Vanilla, Unflavored, Watermelon. Product Compliance: CPSIA, FDA, TSA. Packaging: 100 units per carton; 7 lbs per carton.